You are going to Watch Fairy Tail Episode 156 English subbed online free episodes with HQ / high quality. 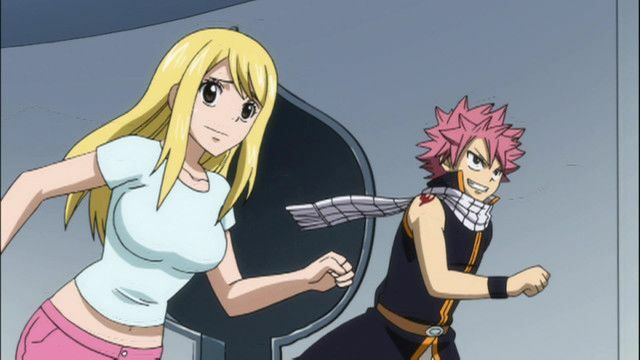 Stream Anime Fairy Tail Episode 156 Online English sub Sky Labyrinth.Natsu’s team notices that Wendy has gone missing, so Elfman replaces her to keep them from being eliminated. As they make their way through the enchanted labyrinth, the five encounter various other guilds and steal the maps they make of the maze to better navigate it. They manage to reach the end of the maze and pass the elimination round, confident they have arrived first, only to discover they have barely taken last place. Meanwhile, Happy, Lisanna, and the rest of the guild search for Wendy and Carla. They eventually find the two in the garden of the king’s palace Mercurius with their magic power completely gone.